If you have Jump Force and you want more anime characters joining the fight, I got news for you. Joining the DLC roster we have My Hero Academia superhero All Might. It’s been announced today that All Might is going to be a playable character if you have the season pass or ready to buy him individually, you can have the chance to play as this strong hero of peace. The first DLC character to join was Seto Kaiba from Yu-Gi-Oh! If you are still playing Dissidia Final Fantasy NT for PS4 and PC, it’s been announced that a new character is ready to brawl. Joining the game is a character from Final Fantasy XIV Online and his name is Zenos Yae Galvus. He will be joining as part of an update release today if you have either the full game or free version of Dissidia, you can buy this character. Zenos is not part of the season pass. With the recent news of a free Dissidia NT game, players can instead buy the characters and weapons separately. 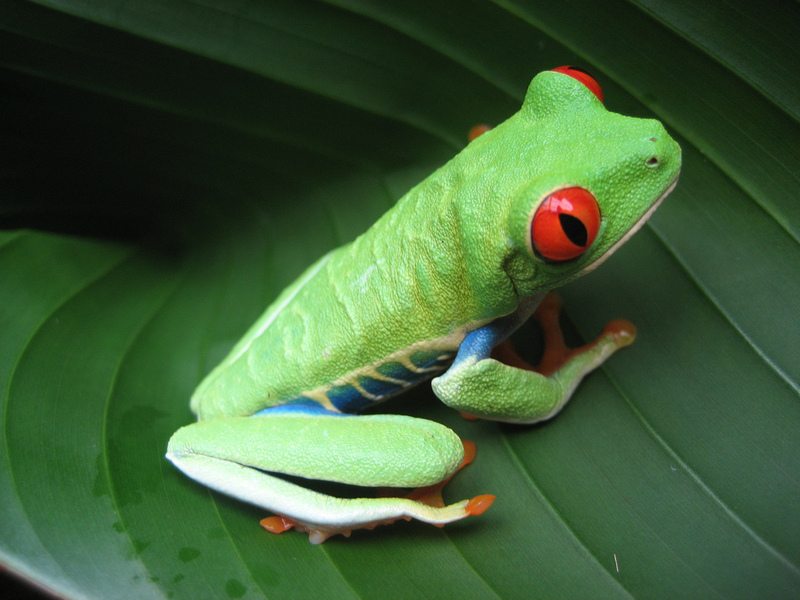 Zeno will be available for purchase for free and paid users. Zenos yae Galvus joins the #Dissidia #FinalFantasy NT roster today! Dissidia Final Fantasy NT free? #Dissidia #FinalFantasy NT Free Edition is coming to both #Steam & #PS4 on March 12th! Hello gamers out there! I bring you some news for you and your copy of Dissidia Final Fantasy NT game. If you still have this Dissidia and you bought the season pass to unlock the characters, here is the last DLC character to join this crossover brawler game. Coming from Final Fantasy XIII, we have the warrior Snow Villiers. Snow will be appearing as his Lightning Returns: Final Fantasy XIII appearance, but he will also have an alternate costume which he appears in his Final Fantasy XIII. You can get this character in the season pass or separately through the PSN store. Announcing Snow Villiers as the last DLC character in #Dissidia #FinalFantasy NT SEASON PASS! Snow transforms into a powerful Cie’th when his HP gets low, boosting the impact of his attacks and skills. Dissidia news: New DLC character and new arena map! If anyone still plays Dissidia Final Fantasy NT, get ready for another fighter to join the battle between good and evil. It’s been announced this morning that the character Yuna from Final Fantasy X will be joining the game of Dissidia Final Fantasy NT. 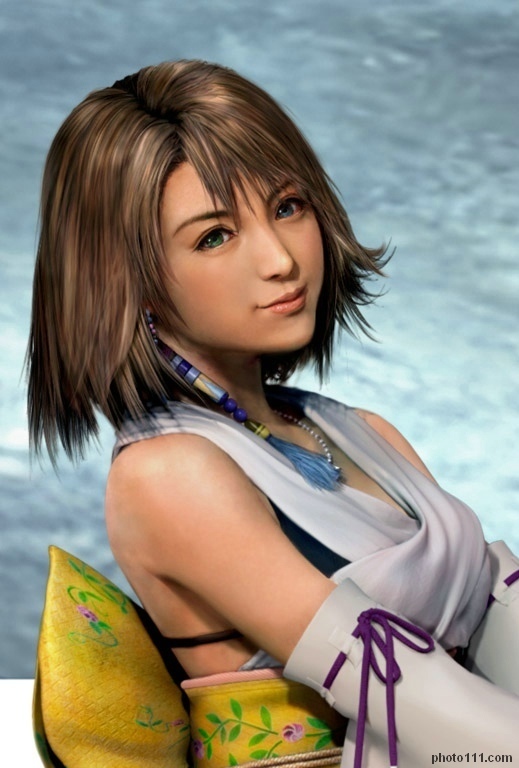 Yuna actually made her appearance in the game in the PSP version called Dissida 012: Duodecim. Also coming out this winter is a new map. This map is called Final Battlefield. The description on Twitter describes it as a place created by two gods and fighters fight in this isolated world. This map will be free as an update this winter just like the other maps like Final Fantasy XV Insomnia. Yuna is coming to #DissidiaFinalFantasyNT! Yuna joins #DissidiaFinalFantasyNT in December! Yuna utilizes an impressive array of magic abilities on the field and can summon Valefor to aid her in battle. Dissidia news: Kam’lanaut joins the fight! If you are still playing Dissidia Final Fantasy NT, I got some news for you. A new confirmed fighter joins the game and he is from Final Fantasy XI. His name is Kam’lanaut and he will be avalaible to download on October along with the other DLC characters. You get this character separately at the PSN store or season pass. 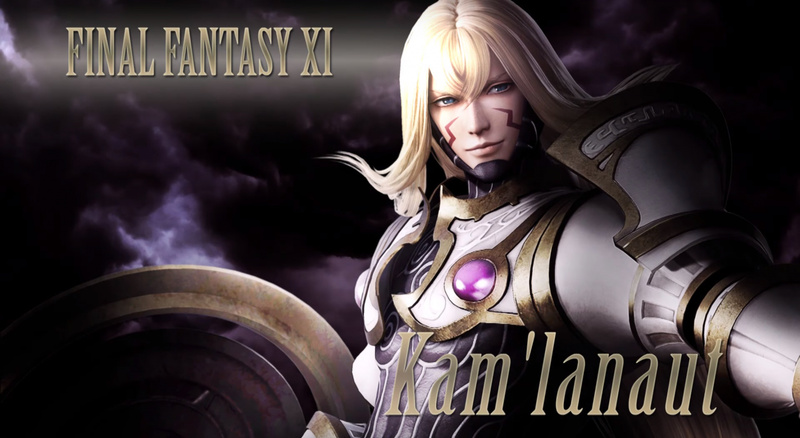 Kam’lanaut joins #DissidiaFFNT in October! Whilst wielding a sword that grows stronger upon successful hits, he utilizes the power of Esoteric Region to manifest an arcane area that debilitates those who step into it. Dissidia Final Fantasy NT news: Here comes a female challenger – Rinoa! Welcome back to another exciting news in the world of gaming. Announced on Twitter, Square Enix revealed the next fighter in this spinoff fighting game Dissidia Final Fantasy NT. The new fighter is Rinoa from Final Fantasy VIII. Rinoa will be available to be downloaded in PSN, but she has to be paid to be unlocked. Players can either pay to unlock her individually or for free in the season pass along with the rest of the DLC characters like Locke and Vayne. Rinoa will be available in August. #DissidiaFFNT introduces new character, Rinoa from #FFVIII in the Season Pass! With her blaster edge at the ready and Angelo at her side, Rinoa is not only versatile—she is a force to be reckoned with. Dissidia Final Fantasy NT new DLC character reveal: Locke! Joining the brawl in Dissidia Final Fantasy NT, we have the treasure hunter Locke Cole. Locke Cole is from Final Fantasy VI and he acts like an assassin type fighter who can fight like Zidane and use fast attacks. He will be ready to use and purchased on late June. If didn’t buy the season pass, you will have to wait and buy individually just like Vayne from FFXII. Both DLC characters are free if you bought the season pass. "Now, if you'll excuse me, I have an appointment with Kefka!" Dissidia NT DLC in Nissin Cup Noodles? This is a rather odd but clever marketing technique. Most of you already know, Square Enix’s upcoming game Dissidia Final Fantasy XV is coming to PS4 on January 30th and there’s bonus DLC depending where you preorder. I found out this news recently now and it’s a code for a DLC costume! Announced on Twitter, Square Enix teamed up with the cup of noodle company Nissin and are selling limited edition marked Cup of Noodles with character images (Cloud, Lightning, Warrior of Light) from Dissidia NT. 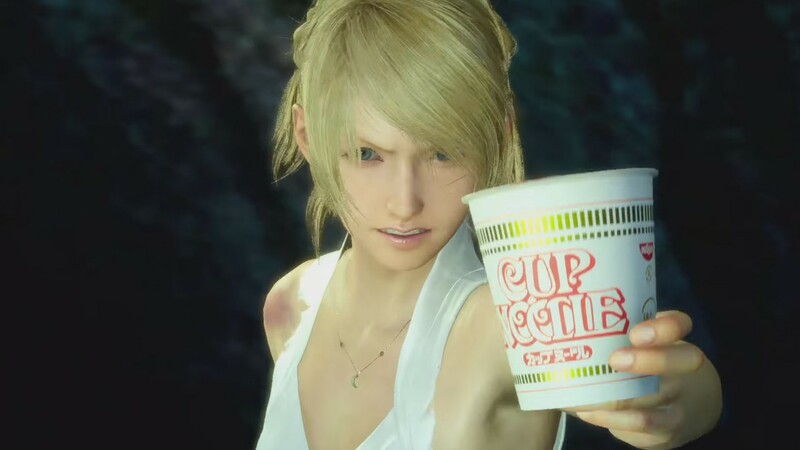 Players who purchase these special noodles will be given a special code to download a free costume for Noctis Lucis Caelum. The costume is his Royal Raiment. So far, this is only for USA stores and if you use the site’s shop locator, you will find out where’s the nearest store where they might have the noodles. According to the Nissin website, if you buy the noodles and text them a picture of your receipt, the company will give you a code where you can redeem the costume for free. This game is only for PS4. 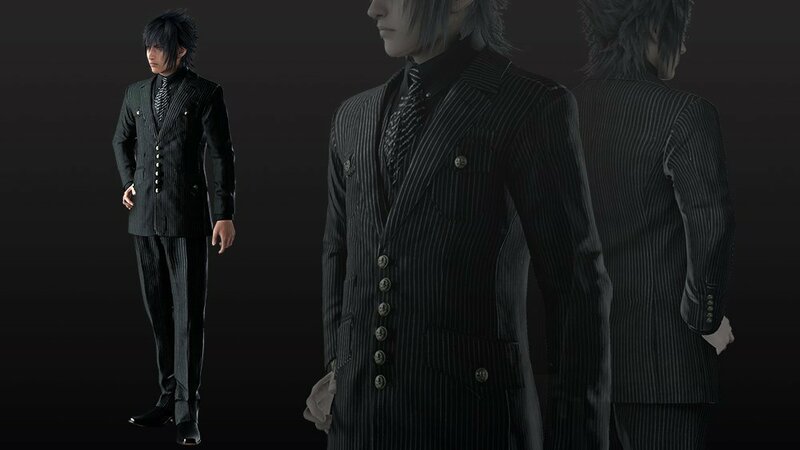 If you want to unlock this costume for Noctis, be like Gladio and buy some noodles. I am hungry now. With only couple months away, Square Enix has made some updates for the upcoming fighting game Dissidia Final Fantasy NT. Besides having Noctis from Final Fantasy XV joining the roster and being placed in the Assassin class with the other other characters. Square Enix have revealed the cover of the standard game case. People who decides to buy the game in the standard version, not the Steelbook Brawler edition, will have this for the cover. The cover will have Warrior of Light ( FFI), Cloud Strife (FFVII) and Lightning (FFXIII). Besides the cover, Square Enix will be giving away exclusive weapons DLC to those who preorder from retailers. Players who decides to preorder from GameStop will be given Garland’s weapon, Garland Claymore Blade. They also recently announced that if you preorder from Amazon, players will get a new weapon for Cloud. It’s Cloud Nail Bat DLC. Even though I never played Final Fantasy VII, I don’t recall Cloud using a weapon like this but based on the wiki, this weapon has appeared in the game and other series. So what do you think of the news. Do you want the Steel Brawler case or Standard version. Which retailer are going to preorder? Final Fantasy video game news! Final Fantasy game news incoming! Revealed at the Tokyo Game Show, Square Enix revealed a new trailer to the game upcoming game Dissidia Final Fantasy NT. The trailer shows the heroes of light gathered together and talking about what’s going on. The gameplay also shows an improved HUD screen and new action sequences. One of the biggest moment in the video revealed Noctis from Final Fantasy XV. The trailer shows Noctis fighting Garland with his fight style and his waypoint attacks. The game is set to be released in NA in January 2018 for PS4. For the first time, Final Fantasy XV players will be able to create their own character and join up with three other friends to take on epic quests and battles in the game’s first and only online multiplayer expansion titled “Comrades.” Starting October 31, players will set foot as a survivor from Kingsglaive to find out more about the disappearance of Noctis after the events in Chapter 13 from the main game. Set in a world engulfed by darkness, the expansion casts players as a member of the Kingsglaive, with powers and unique abilities invoked from various Lucian kings, who join forces to bring the Light back to the kingdom of Lucis. Other members of Noctis’s crew including Gladiolus, Prompto and Ignis will be made playable in future game updates. As members of Kingsglaive, players equip royal sigils that grant special powers from the Lucian bloodline. Players can then strategize and create a balanced team to take on a variety of quests. In addition to multiplayer quests, single player quests are also available for players to enhance their characters. Released yesterday, Square Enix has finally released another port game of a classic for PS4. Final Fantasy IX joins the digital market at the PSN. Fans who remembered playing this game in PS1 can relieve it again on PS4. The game includes new additions just like Final Fantasy VII such as no encounters, auto save and many more. As part of the promotion, the game is currently on sale for 20% off and if players buy the game within 9/19 through 9/26, players will not only get the game cheap but they will be awarded with a custom theme for the PS4 and avatar profile pictures designed by Toshiyuki Itahana.